The Duke of Sussex has made no attempt to hide his 'accelerating' hair loss thanks to marital happiness with new wife Meghan, a cosmetic surgeon has claimed. The 34-year-old royal is now losing his hair as quickly as his older brother Prince William, according to Dr Asim Shahmalak. The surgeon, who is based at Crown Clinic in Manchester and specialises in hair transplants, says that men happy in settled relationships make less effort to disguise their hair loss after finding their life partner. Pictures of Harry and Meghan touring Australia last week show a rapid deterioration in Harry's hair; the bald patch, which was previously only centred on his crown, now extends to right across the back of his scalp. And Dr Shahmalak has produced an image of how Prince Harry will look at 50 if his current rate of hair loss continues. He said: 'There are simple ways to mask the onset of hair loss in the short-term. You can use hair thickeners, which Wayne Rooney has done for years during big games to make his hair look thicker than it really is. 'You can also give the impression of thicker hair by dying it a darker colour, as David Beckham did recently when he was in Hong Kong. 'It is to Harry's credit that he has not resorted to either of these measures. He clearly has a wife in Meghan who loves him no matter what the state of his hair. The surgeon believes Harry may have grown his beard to compensate for the hair loss on his scalp. 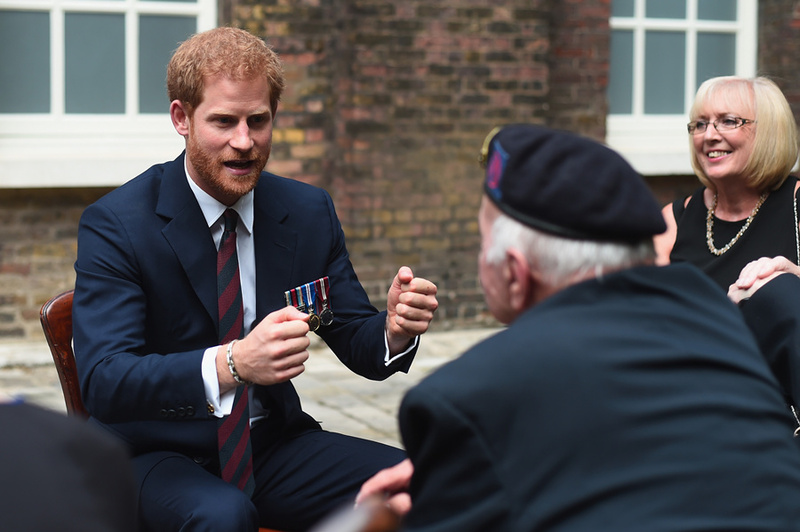 Dr Shahmalak said the strong royal baldness gene means Harry is shedding hair like his grandfather Prince Philip, father Prince Charles and brother Prince William.